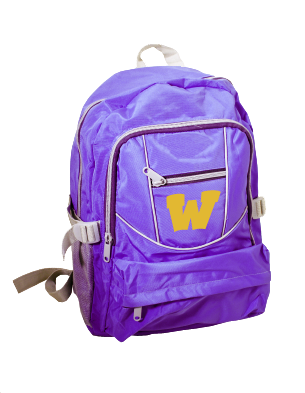 We recently launched a new website for our flyer distribution system WaukeeBackpack. Please use our new online form to submit flyers for approval. Non-school sponsored information will only be distributed from non-profit organizations. All flyer distribution request should be submitted at least 10 days prior to the desired distribution date using the online form. Non-school sponsored materials must include the following statements printed in type at least as large as the majority of the other text in the materials, separate from other text and located in a conspicuous location: This is not a Waukee Community School District publication. It is being distributed through the school district as a community service of the district to inform you of other community activities or services available. Upon District approval, a limited number of materials may be distributed to students who do not have a computer and/or Internet access via the community table at each school. All flyers must be approved and dropped off at Waukee District Office, 560 SE University Ave., Waukee, IA 50263. No flyers should be dropped off at school buildings. Flyers should be separated in bundles of 25-50, placed in an envelope and labeled with the name of the school you would like your flyer distributed to.